I visited the Long Gully vineyard with Matt Dicey, the winemaker. 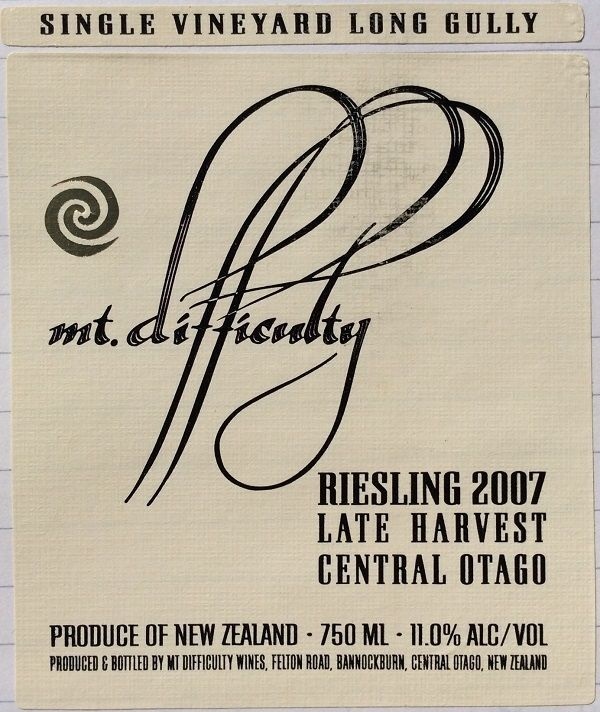 Having tasted some grapes, he decided to harvest 48 hours later for the 2008! This was medium sweet or fully sweet, but with decent balancing acidity. A little toasty early maturity, but was drinking well young, with plenty of lemony / preserved-lemon character. A nice drop to crack on an evening when Katy wanted something sweet to cap-off the night.